In 2000, the NSF for CHD established a primary prevention risk threshold for CHD of 30 per cent over 10 years, subject to revision as clinical and cost-effectiveness data became available. This created considerable controversy, because many clinicians believed it was too high and placed too great a burden of risk on patients before they became eligible for treatment. 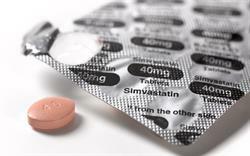 The NICE recommendations established that as a class, statins are cost-effective for CHD and calculated that in primary prevention, treating patients at M20 per cent cardiovascular disease risk is a cost-effective use of NHS resources. NICE recommends considering patients over the age of 75 years for primary prevention therapy on a case-by-case basis. There have been some concerns about applying a routine primary prevention policy for patients over 75 because this requires considerable extrapolation from the trial evidence and may not be suitable for all patients. The citizens’ council, a demographically representative lay body set up by NICE, stipulated that age should not be a determinant of resources unless it was also associated with reduced capacity for the elderly to benefit. CHD risk calculators are not validated in this age group and these patients are susceptible to death from other causes, so elderly patients’ capacity to benefit was reduced and treatment was recommended for particular high-risk patients. This 20 per cent threshold does not itself constitute an activity target because it only specifies the risk threshold where GPs should intervene if considering primary prevention. The GMS contract does not include a cardiovascular risk element, so primary prevention will fall within the bulk of work undertaken by GPs that is not described in the contract. Some groups, such as the Joint British Societies, suggest GPs should screen everybody over 40 – some 28 million people. NICE has been charged with examining the evidence base and producing guidance to allow GPs to deploy resources effectively, while recognising the competing demands on their time. This is fortunate, because the number of patients eligible for treatment at a 20 per cent threshold has been calculated as 19.6 per cent. Those who found the 30 per cent threshold too high will be pleased that the weight of clinical and cost-effectiveness evidence is now on their side. 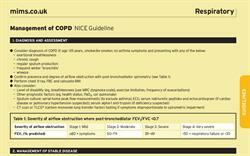 NICE has lowered the threshold for primary prevention and aligned it with the US and Europe. 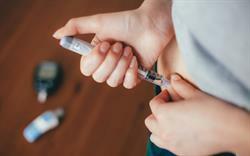 It has adopted a pragmatic approach to statin treatment in the elderly, which is welcome – defining exception-reporting criteria for statin therapy in elderly patients has been a particular problem for many GPs and PCOs. Furthermore, the lack of evidence of the benefits of routinely treating the elderly, or of the potential harm in a population more prone to statin adverse effects, has been a concern. If GPs are to undertake more primary prevention, greater effort must be made in risk calculation and communication. Patients offered long-term treatment for asymptomatic conditions deserve to have the risks and benefits explained to them; the focus on treatment in traditional guidelines has often neglected the importance of concordance in these decisions. The draft guidance from NICE recommends that those drugs with the lowest total acquisition cost should be used. 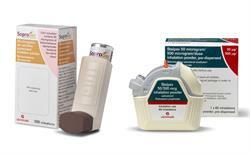 Simvastatin, one of the best evaluated statins in the class, is established as the first-choice drug for the majority of patients. There is a diminishing return when reducing cholesterol beyond current targets, so simvastatin is likely to be a good choice for most patients. The choice of second-line agent will depend on safety, then potency, followed by cost. Ultimately, the cost of treating an individual over 75 with a statin is more a function of the cost of their medication than it is of the two or three GP consultations required. Cost savings from judicious selection of second-line therapy can allow funding for major programmes to help GPs manage other aspects of their work. In light of the financial crisis in the NHS, the choice between funding lower cholesterol targets and removing other healthcare programmes may become clearer. The NICE recommendations are based on the relative value of the treatment, using a technique that allows comparisons against treatments for cancer, MS, or other diseases. This minimises the distortion of priorities that is an inherent danger arising from the adoption of specialist guidelines. This approach is concordant with that of general practice, because GPs do not tend to focus on treating a single condition while depriving patients with other conditions of treatment, particularly if it would benefit the latter group more. Prescribing behaviour inevitably carries consequences; benefits delivered in one area should not mean greater benefits forgone in others. The consequence of using cost-ineffective treatments for some patients is a reduction in the overall benefits that can be achieved for other patients in the practice. Forgone benefits can include stroke rehabilitation or other important services that provide support to heart failure patients. As GPs, we recognise that patients have a diversity of diseases and ultimately, preferential treatment should not be afforded to any group. In this respect, we must ensure that guidelines recognise the overall patient perspective.